I always feel like I have a million things to do, and wish that I checked items off my list quicker. Never seeming to get around to the projects that I ‘want’ to accomplish, when there isn’t an urgent need. (Anyone else have this problem too?) 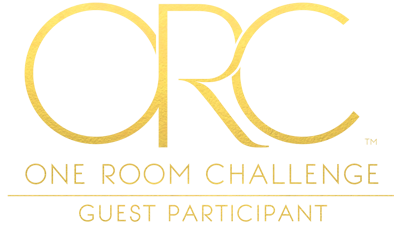 I’ve always watched the bloggers who participate in One Room Challenge thinking that I should join in, but where would I find the time??? 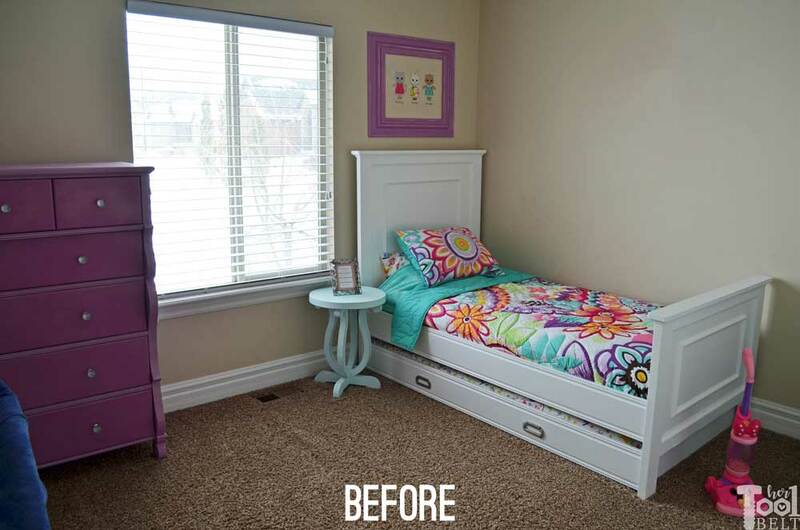 Last spring while my good friend Mindi (My Love 2 Create) was working on her One Room Challenge bathroom, I thought alrighty if Mindi can fit this in her hectic schedule (full time working single mom of 6), then what is my excuse? So I am jumping in this year, woot! I need to put my girls (almost 6 & 2) together in a bedroom until we finish the basement and big brother is old enough to sleep down there. 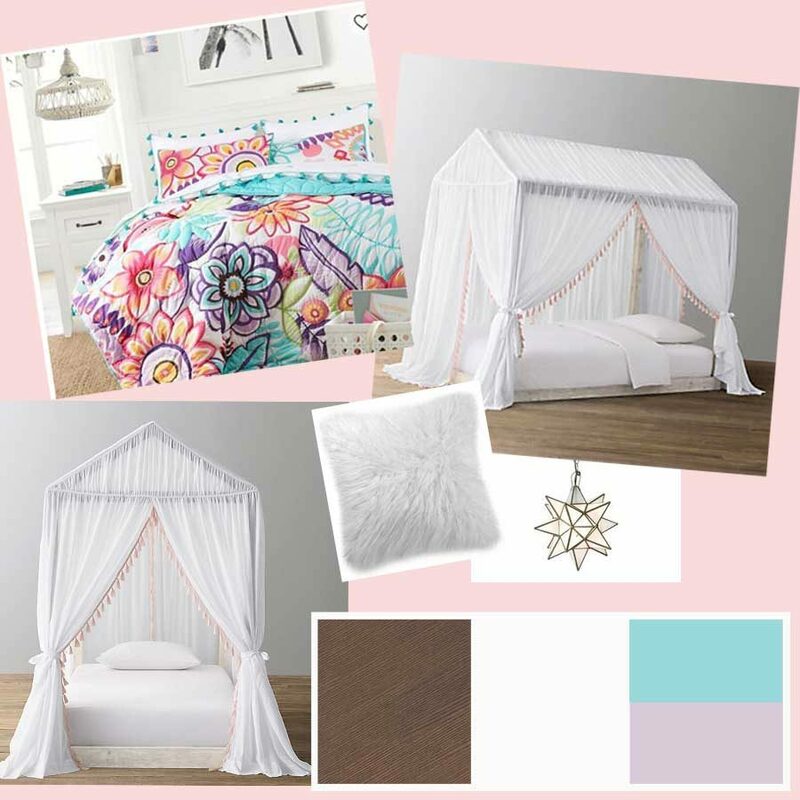 My goal is to create a cute little girl room that they’ll both enjoy. However space is a big issue. The room is only about 10’x11′ and I need to fit 2 beds and somewhere to store their clothes and stuff. 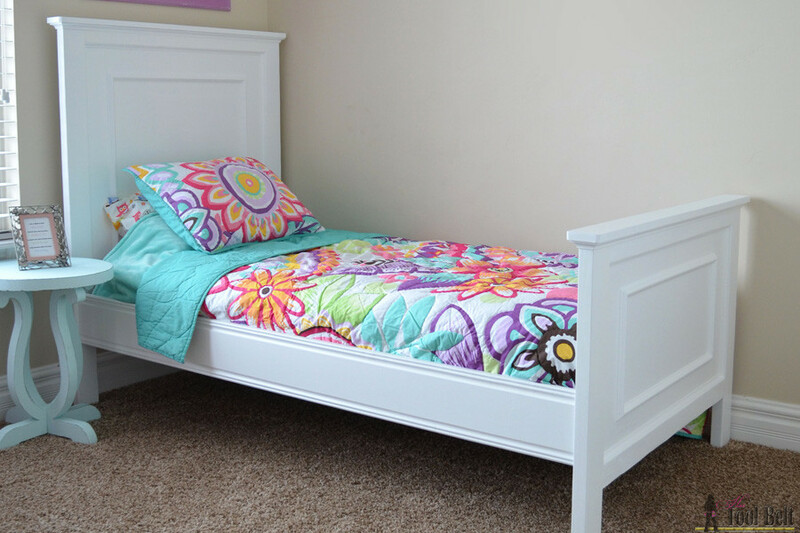 A few years ago, I made my daughter this bed (free plans). It has served her well. The problem with the dresser is that there isn’t room for the dresser and two beds. I could have a trundle under the bed, but the 2 year old can’t pull that in and out, so that makes more work for me. 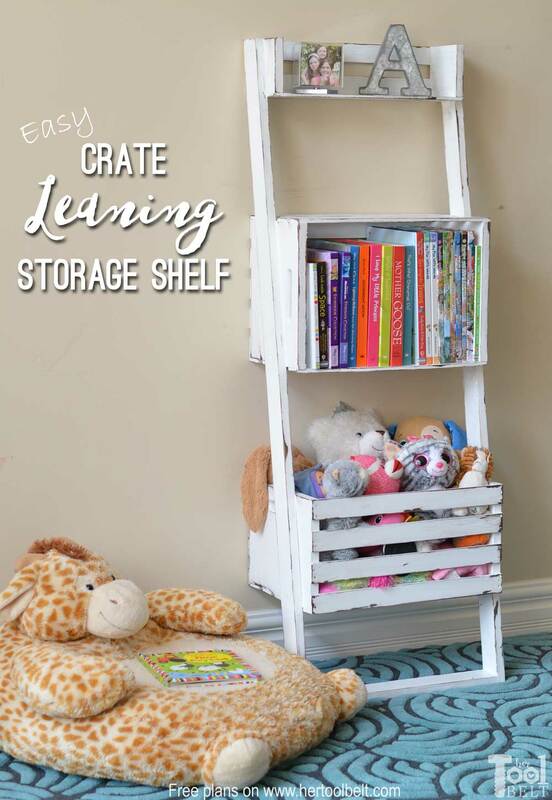 She also has this cute leaning crate shelf, I’ll have to see if it can fit in the room. 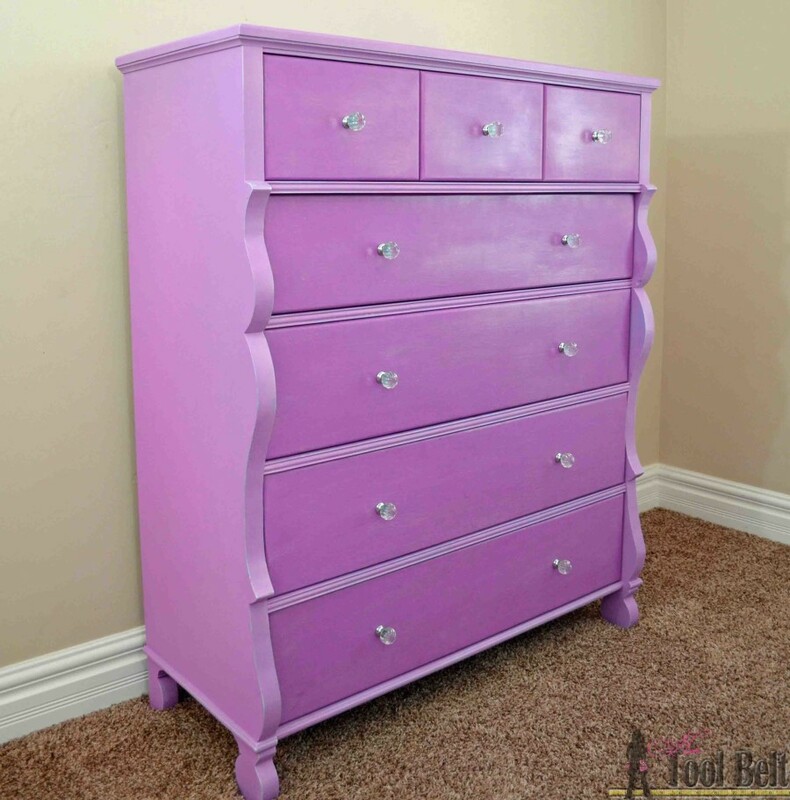 Paint the walls pale pink – I’m tired of the botany beige that’s throughout my whole house. I really don’t know what I’m doing when it comes to decorating, it’s a huge struggle for me. A few years ago I made some house frame bed plans and have been wanting to build one. I have an idea of how to incorporate storage, and I’m in love with the canopy drapes that Restoration Hardware does on their house bed. We’ll see if I can pull something like that off. Wish me luck, and I’ll be checking in new week. See you then! My two oldest boys have always shared a room, so I feel your struggle!